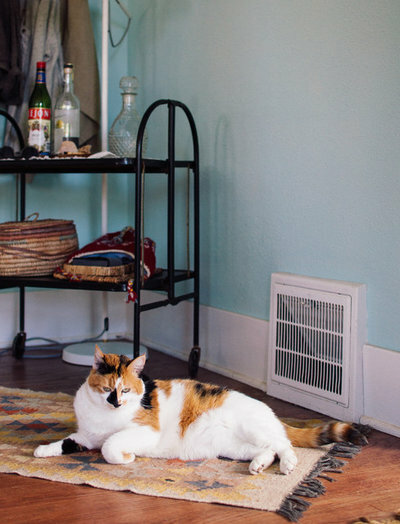 Each week homeowners and renters from around the world open their doors to contributing photographers as we profile personality-filled homes and the people who inhabit them. 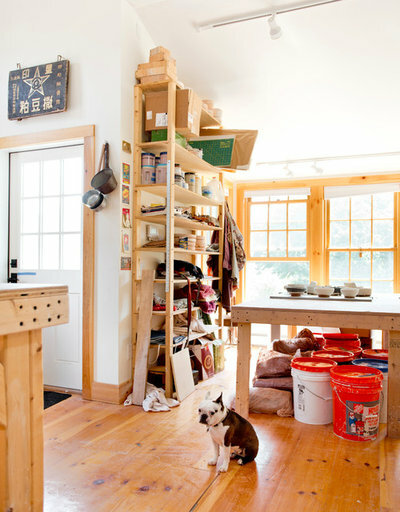 Meet some of our favorite four-legged and furry friends, including cats, dogs, chickens and a sleepy hedgehog, who make an appearance in our My Houzz series. 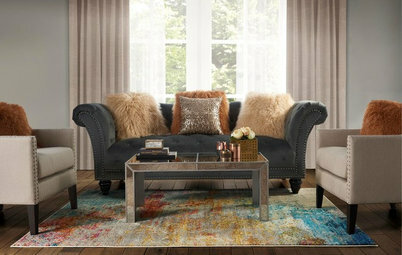 Here they show us the right way to sprawl out, curl up, wander and lounge in unabashed style. Griffin the cat, affectionately referred to as G-Unit, approves of his owner’s comfy Ikea sectional. 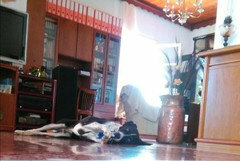 He loves to lie at the end of the chaise and bask in the sun at the Somerville, Massachusetts, home. 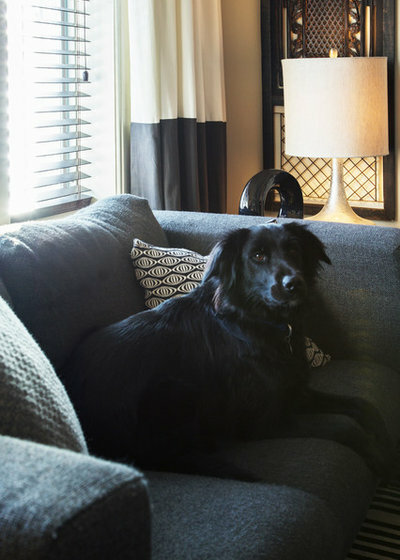 Grady makes himself at home amid stylish throw pillows from Scalamandré and West Elm on the sofa of his apartment in the Williamsburg neighborhood of Brooklyn, New York. 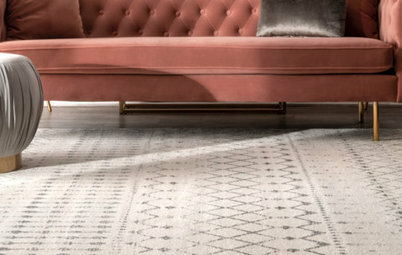 French bulldog Beatrice relaxes on her favorite spot in this San Francisco house: a large lambskin rug. She also likes to seek refuge inside the little tent made especially for dogs and under the open clothing racks. 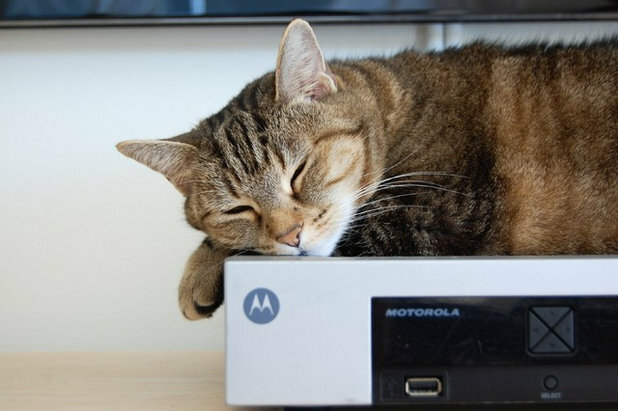 Jolie the cat sleeps on her favorite spot in a Los Angeles apartment — the cable box. 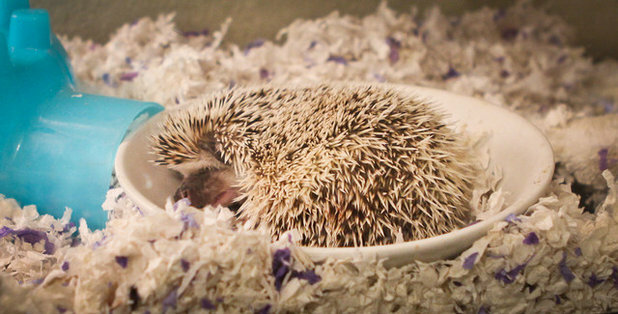 Seattle-based June the hedgehog stays snugly tucked away in a cozy basement bedroom that is also the hobby space for his Lego enthusiast owner. 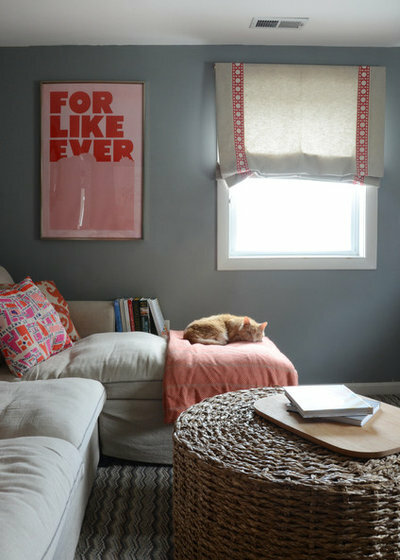 Willie the cat relaxes on soft white bedding atop a vibrant pink Jenny Lind bed in a colorful Austin, Texas, family home. Valentine, a 26-year-old free-range turtle, roams around the kitchen floor of a multigenerational family-friendly home in Montreal. 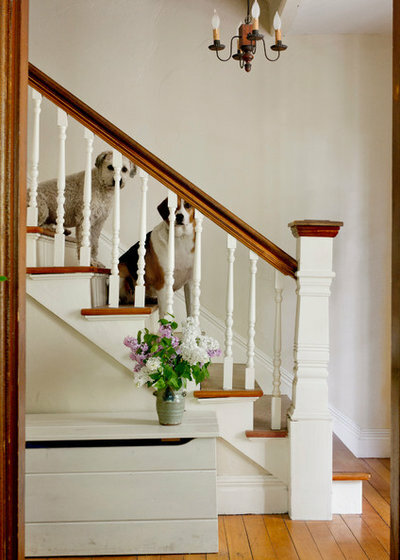 Dogs Willow and Daisy keep an eye on things from the stairs in the Greenfield, Massachusetts, home of potter Lucy Fagella and Terri Kerner. The newly painted entryway chest below is used to store hats and mittens. 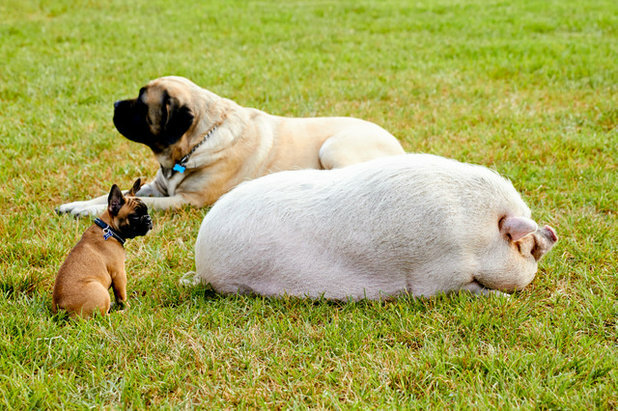 Lulu, an English mastiff, Watson, a French bulldog, and Emily the pig relax on the lawn of a sprawling 10-acre farm in Southwest Ranches, Florida. 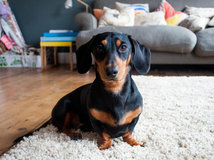 These three family pets are in the company of an array of animals including another English mastiff, a cockapoo, a mini dachshund, a Chihuahua mix, two cats, 11 horses, three zebus, three birds and hens. 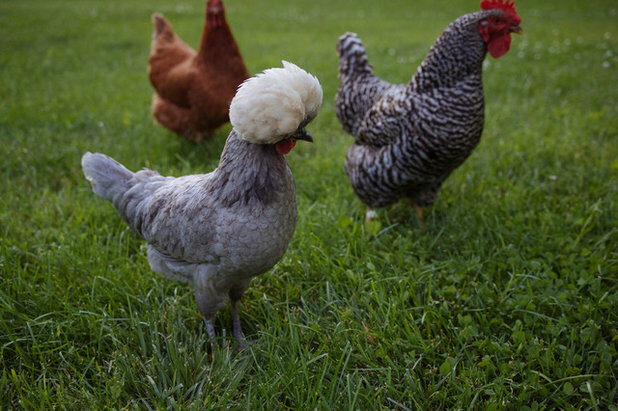 These free-range chickens that roam a historic property in Frederick, Maryland, are a busy bunch, laying about seven eggs a day for owners Joe McKenna and Sarah Brennan. 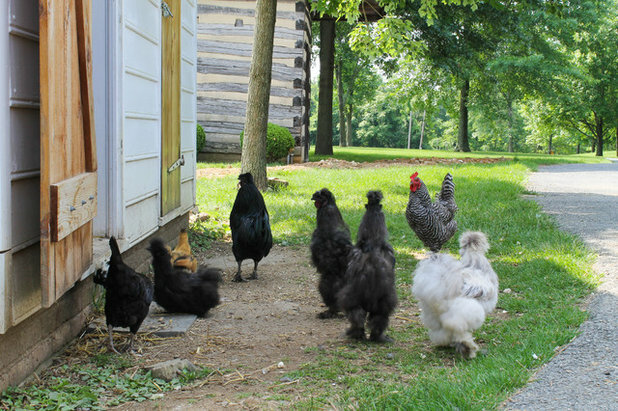 The chickens, named Martha, Big Red, Cruella, My Girl Washington, Pedro, Willa, Scaredy Cat, Percy, Archie Beeker, “the Baby Boys” and “New Baby Girl,” are in the company of Tillie and Roo, both Norwich terriers, and Rupert, a West Highland white terrier. Other occupants are Sphinx the cat and a hive of bees. Four-year-old dog Jack relaxes in his personalized space in a San Francisco bedroom. 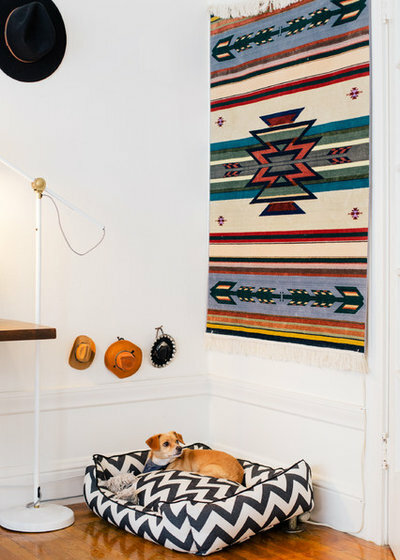 Hanging above his plush chevron-patterned bed is a wall textile from an Indian trading post near Joshua Tree National Park. 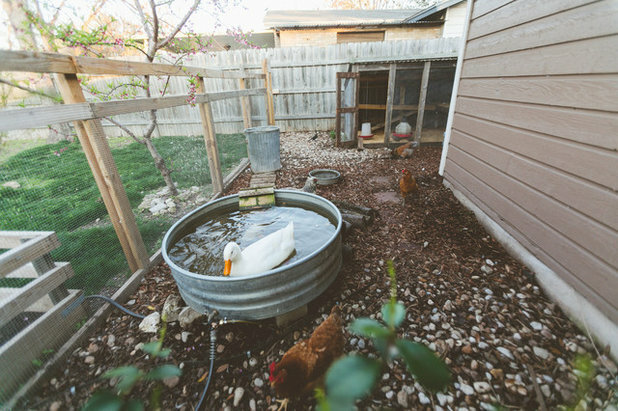 George the duck enjoys swimming in his little pond in Austin, Texas, next to chickens Jennifer, Storm, Electra and Phoenix. 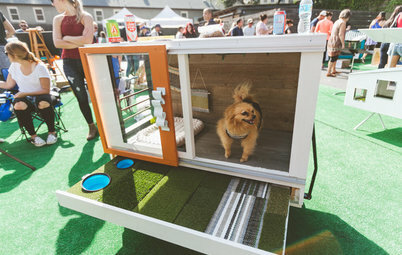 His owner, Diana Lott, had a chicken coop built on-site. The coop, pond and the surrounding enclosed chicken (and duck) run make up part of the backyard. For the most part, George gets along well with the chickens, which Lott attributes to their having been raised together. George does tend to be a bit of a bully, not uncommon for some ducks, but Jennifer and George are inseparable best buddies. George and the chickens are also in the company of four dogs (Cajun, Boz, Lily and Heidi) and kitten Kevin, aka “The Oreo Terror.” The dogs are trained to leave the chickens alone and can be in the yard together while Lott takes care of backyard farming duties, which include gathering eggs, filling the pond with fresh water and restocking the feeder. 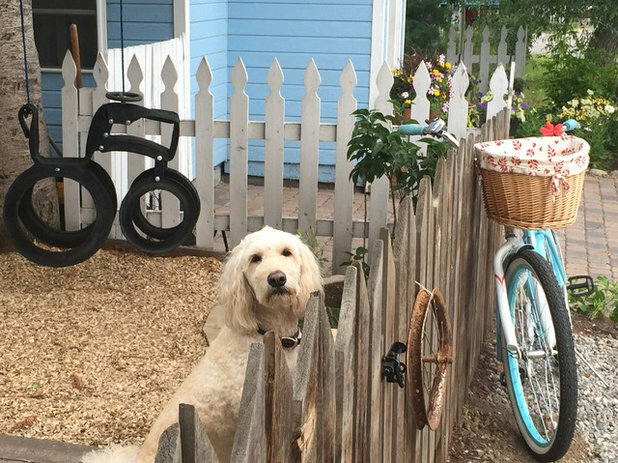 Goldendoodle Otis stops to say hello to neighbors and pedestrians passing by on the street in front of his charming Steamboat Springs, Colorado, cottage. A front picket fence with a gate completely surrounds the property, giving Otis space to play. Hanging behind him from a Colorado spruce is a recycled tire swing from Murdoch’s Ranch & Home Supply. Otis stands guard while waiting for the kids to come out to use it. 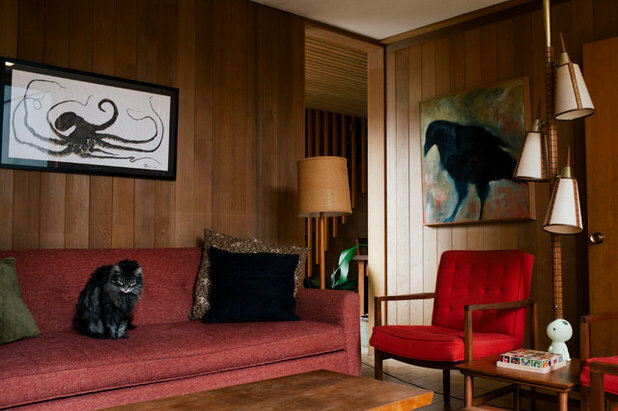 Moon the cat accents a red midcentury reproduction couch in the wood-paneled living room of a Spokane, Washington, home built by architect Kenneth Brooks. These free-range chickens roam the 50-square-foot backyard belonging to Lindsay and Andy Michael of Kansas City, Missouri. The chickens produce about 12 to 20 fresh eggs a week for the family of five and are also in the company of a ginger cat named George. Lindsay says one reward of raising the spirited chickens is that she makes a lot of quiche. Saar, an Irish setter, rests after a run in the fields of Boskoop, a town in the Netherlands famous for its fruits, shrubs and perennials. 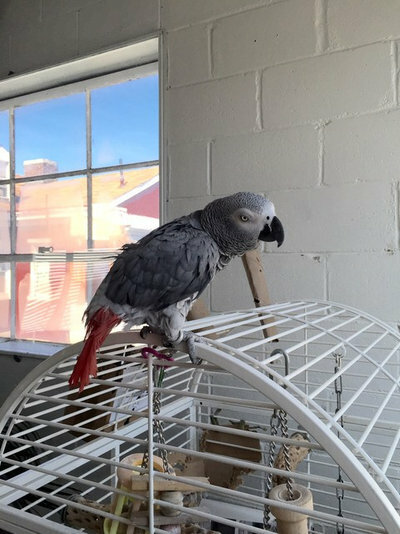 Congo, an African grey parrot, lives in a colorful industrial loft and studio with his metal artist owners in Pittsburgh. 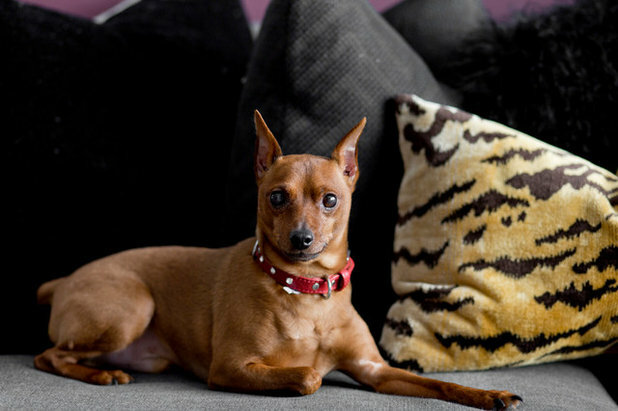 Congo is often found perched behind a modern sectional atop his cage. VaVa the pug contentedly naps on a rug and enjoys the warmth of the loggia in a 1977 Federalist-style home in Covington, Louisiana. 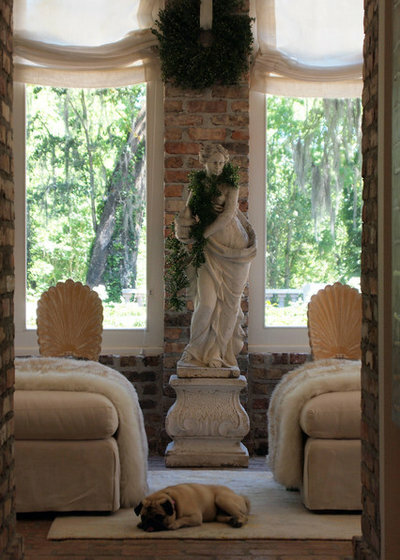 In the center of the room is an 18th-century English garden statue that acts as the liaison between the interior and the exterior of the home. 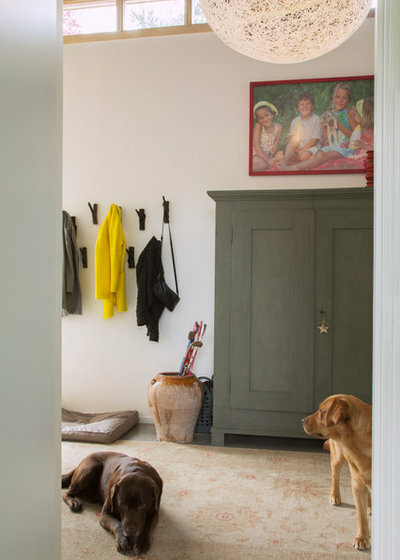 Retrievers Bear and Raleigh wait in the front hall of their Arnhem, Netherlands, home for the kids to come home from school. 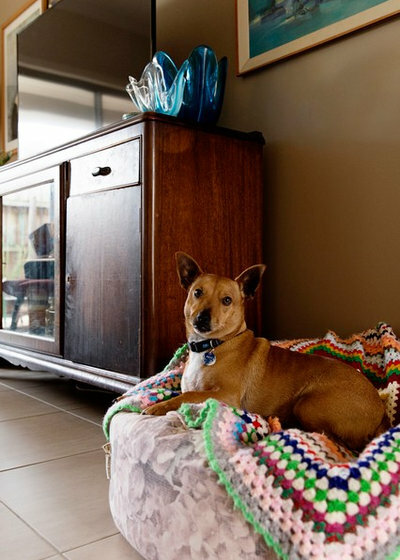 Alfie the dog enjoys relaxing in his family’s living room filled with vintage and crafty pieces. 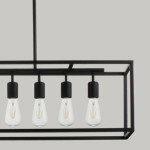 Alfie lives in a newly built rental property in Mornington Peninsula, Victoria, Australia. 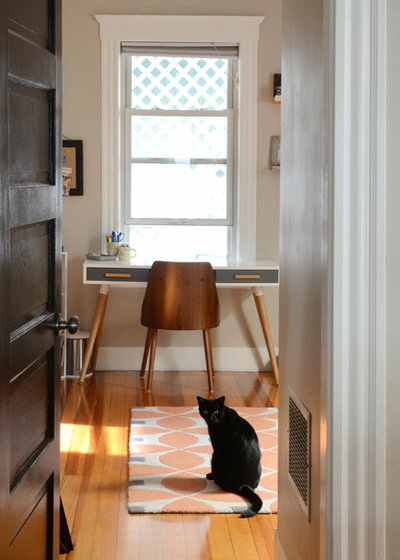 Harry the cat strikes a pose from this well-designed home office in a Boston condo. Pizza Party the dog takes a breather on a pillow-filled couch in a Victorian carriage-house apartment in Los Angeles. 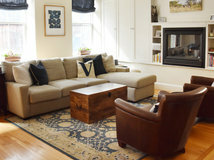 His owner’s international upbringing and eclectic style is seen in this modern Moroccan-inspired living room. Kasper, a recently adopted 6-month-old dog, was rescued by the Neal family in Cape Neddick, Maine, from a nearby shelter. He has quickly made himself at home in their master bedroom. 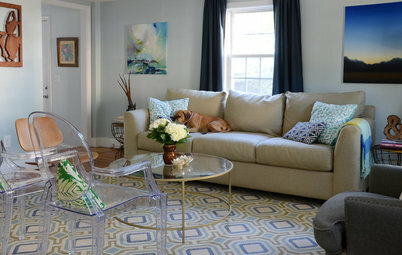 Lorca the dog enjoys resting on a stylish but budget-friendly Ikea couch in a Kitchener, Ontario, Canada, family home. 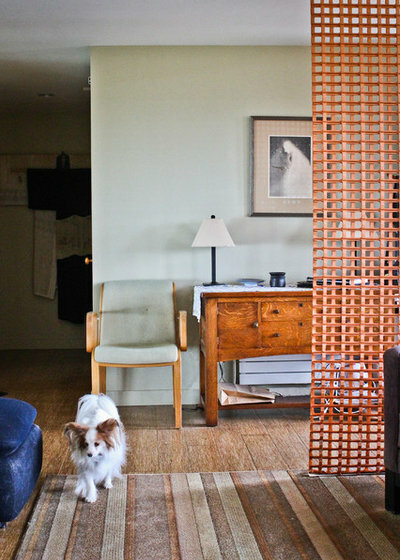 Papillon Remy casually walks by a soft, textural-paper wall curtain that separates the entryway from the rest of the living space in a Seattle midcentury home. 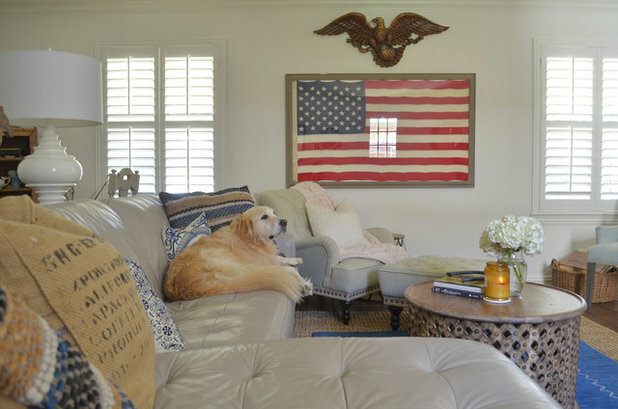 Golden retriever Gracie enjoys resting on a soft leather sectional in this Dallas family room. A framed American flag and wooden eagle — both family heirlooms — hang on the wall behind her. 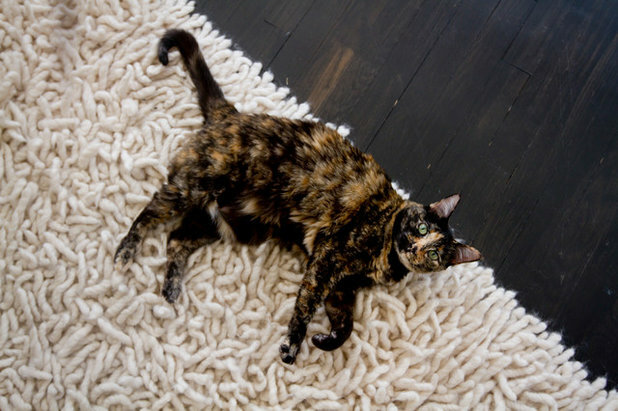 Lulu, a cat rescued by his New York owners in Singapore, makes herself at home on a plush living room rug. 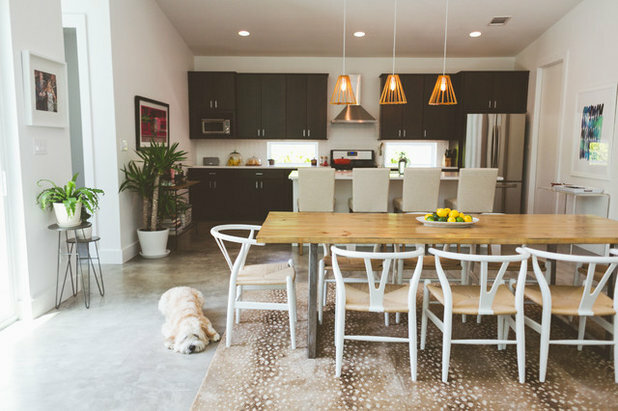 Soft-coated Wheaten terrier Fonzie warms up the concrete floors of this airy minimalist-meets-bohemian-style new build in Austin, Texas. 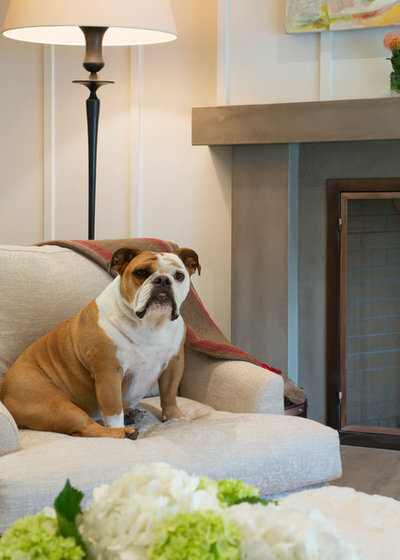 This plush armchair in a wine country-inspired home in Novato, California, ensures that English bulldog Juicy always has a comfortable place to sit. Ginger tabby cat Curtis lounges on David Greening’s low platform bed in the Echo Park neighborhood of Los Angeles. 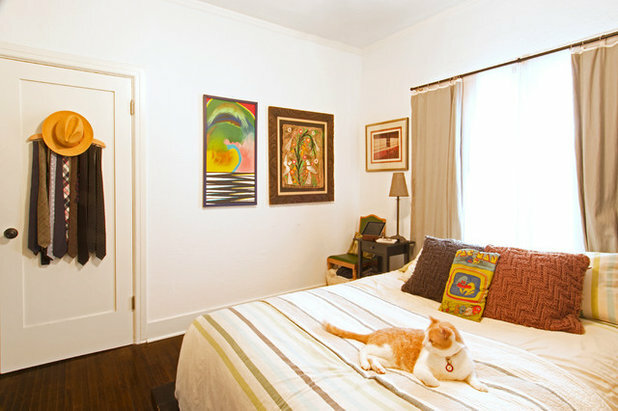 The bedroom is filled with treasured personal items, such as a small Pac-Man pillow Greening loved as a kid, an architectural photo taken by his uncle and 1950s card chairs handed down from his grandparents. 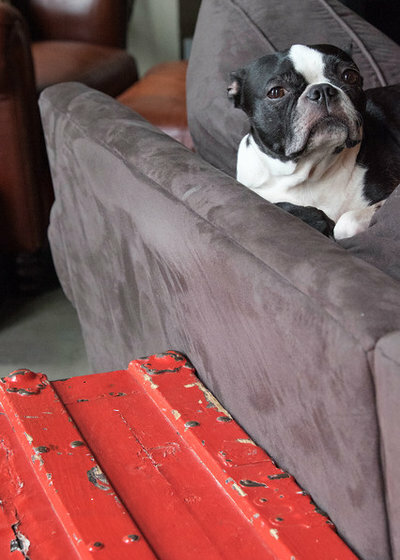 Boston terrier Kenzington enjoys her favorite afternoon spot by a sunny window in a hip downtown Louisville, Kentucky, loft. 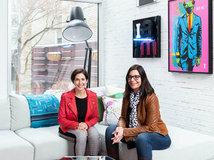 The red trunk is a family heirloom and is considered “a bedroom in a box” because it holds an air mattress. Sally the cat curls up under an upholstered dining chair in a Boston condo. 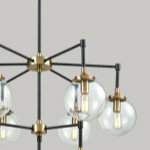 The dining table is handmade by Emmor Works and is used often as a gathering place for friends and family, including an ongoing Taco Tuesday night. 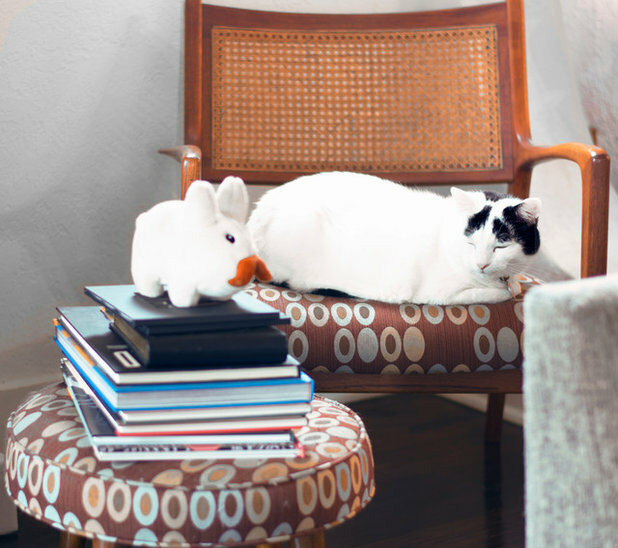 Black and white cat Phinneus snoozes on a refurbished midcentury chair in an eclectic Los Angeles apartment. 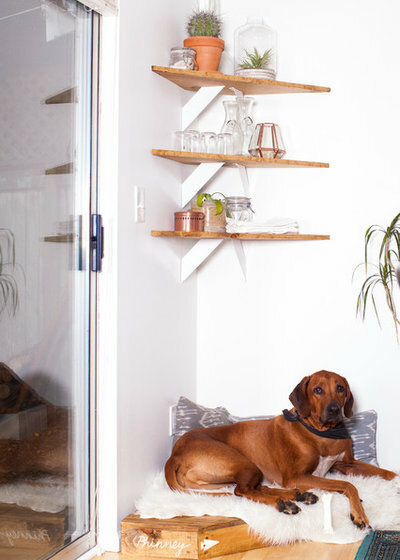 Laura Burkhart and Jake Michael’s Rhodesian ridgeback, Phinney, enjoys his custom-made, personalized dog bed, which shares some of the details and textures found elsewhere in this Lake Forest Park, Washington, home. 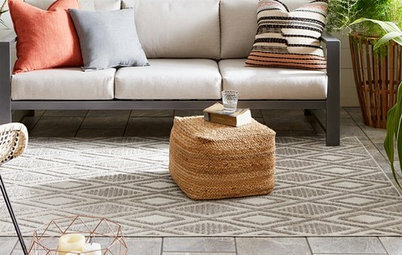 The DIY project is right next to a large sliding glass door that lets in lots of natural light and opens up the space to the deck and backyard. 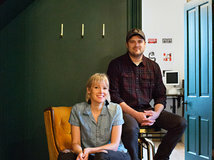 Above Phinney are open shelves that were also a DIY project. 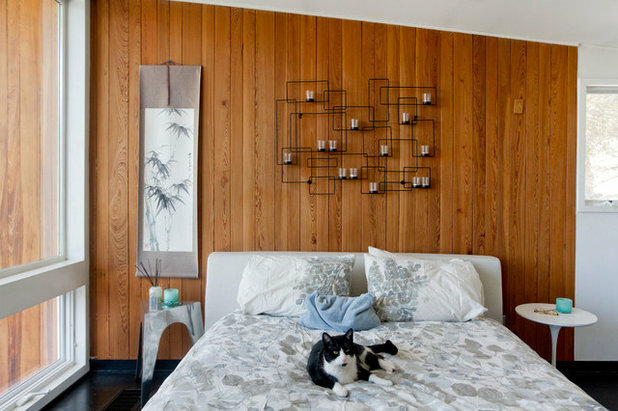 Restored cypress wood-clad walls create a contrasting background for Koji the cat in this midcentury master bedroom in Croton-on-Hudson, New York. 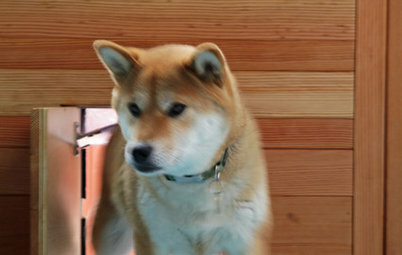 Koji also enjoys a wall of windows with a beautiful view of Hudson Valley. 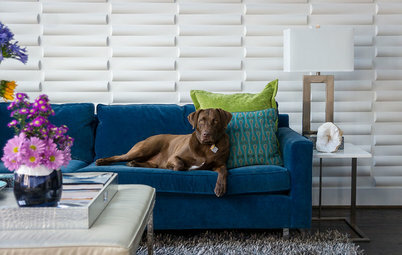 Shelby the dog is pleased with her family’s remodeled home in Dallas. 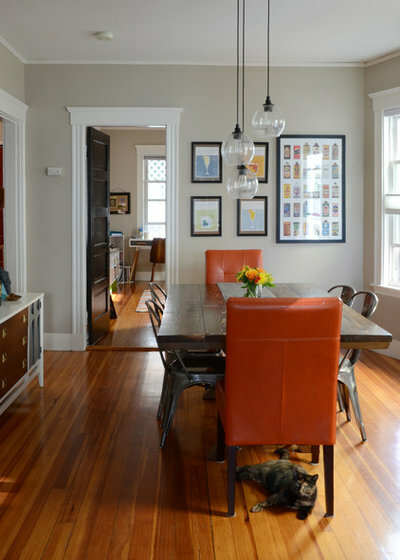 The dining room is decorated with an eclectic retro vibe to match the rest of the 1960s house. 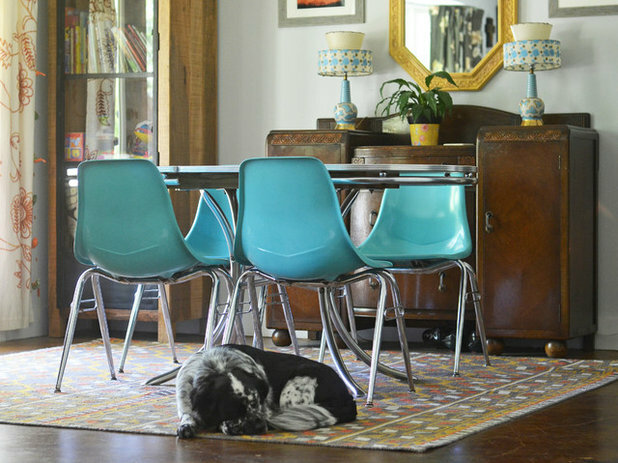 A vintage dining table and blue stackable chairs complement the pair of midcentury baby blue and gold lamps from the Forestwood antiques mall in Dallas. These two koi fish belong to self-confessed incurable collector and makeup artist Wendy Ann Rosen of Los Angeles. 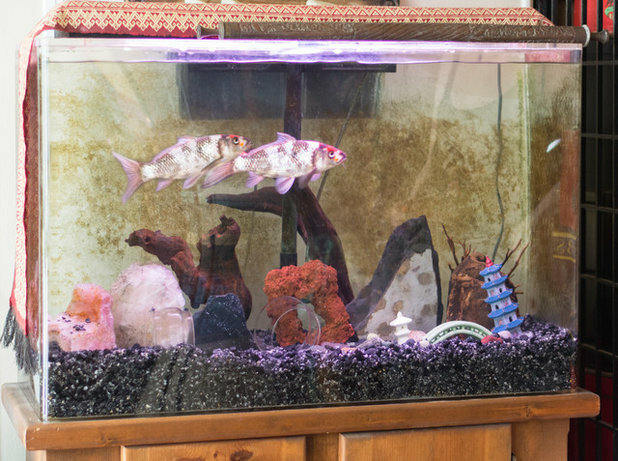 Their large aquarium sits opposite Rosen’s dining table. 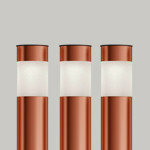 “Growing up, we always had aquariums. My dad even got me a double-decker one just for my bedroom and would always take me fishing,” she says. 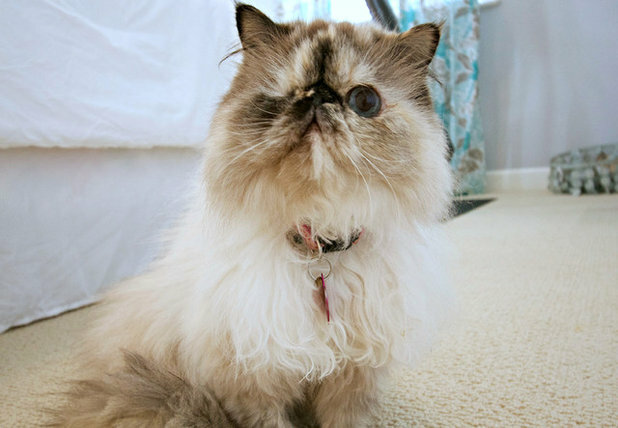 “The only time I’ve been without fish was during my time in London.” The fish are in the company of a Brussels griffon dog, Maxim, a cat, Olive, and an impressive collection of over 1,000 hats. 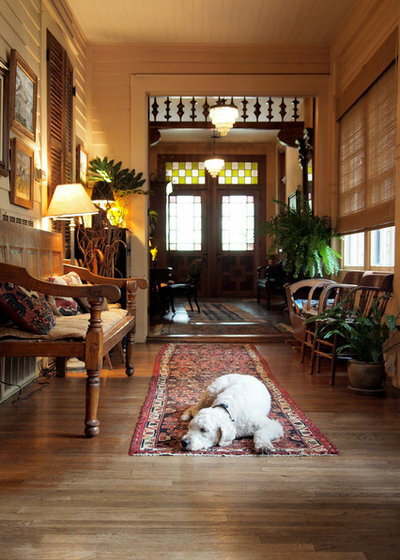 A multipurpose corridor dividing two parlors in the Poplar Grove Plantation House in West Baton Rouge, Louisiana, sets the scene for goldendoodle Henry to take a quick break. 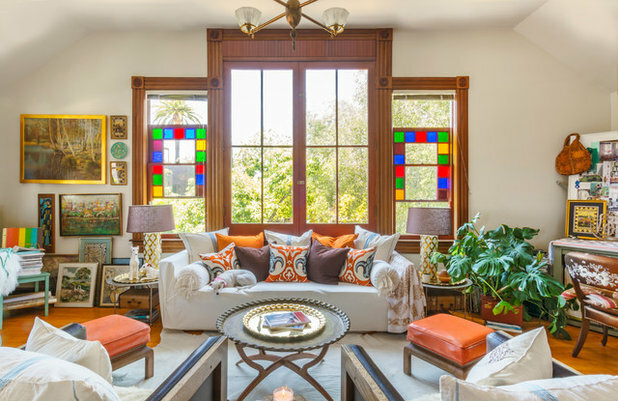 In the original floor plan of this 1884 home, the gentlemen’s and ladies’ parlors (the two current front rooms) were separated by just a single partition, which could be opened to create one large entertaining space. 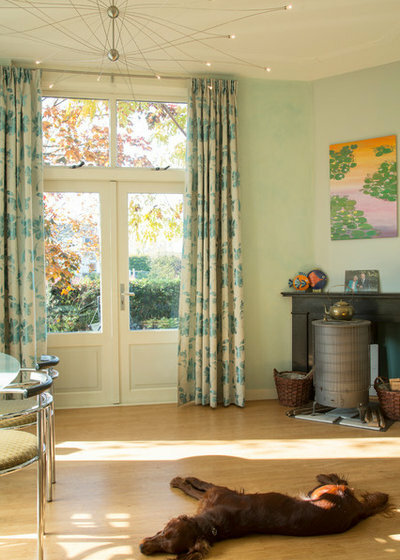 Today the hallway provides access to the rooms flanking it as well as to the outdoors, and leading to the bedrooms at the rear of the home. 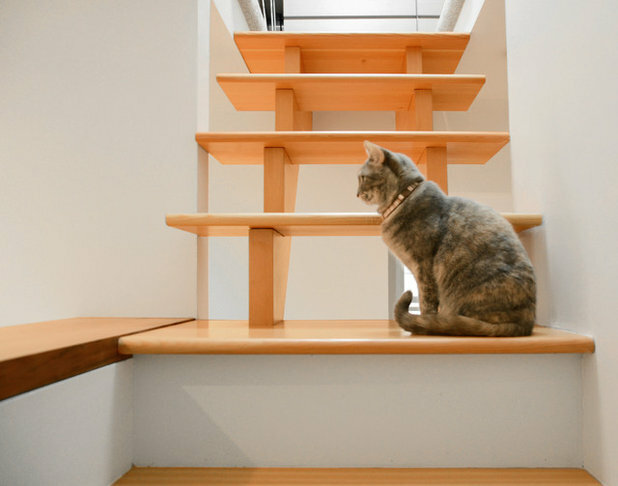 Dorothy the cat sits poised in her favorite spot on newly added fir wood stairs in a renovated 1920s East Vancouver, Canada, home. A skylight above the open-tread staircase brings warm daylight into the heart of the house. 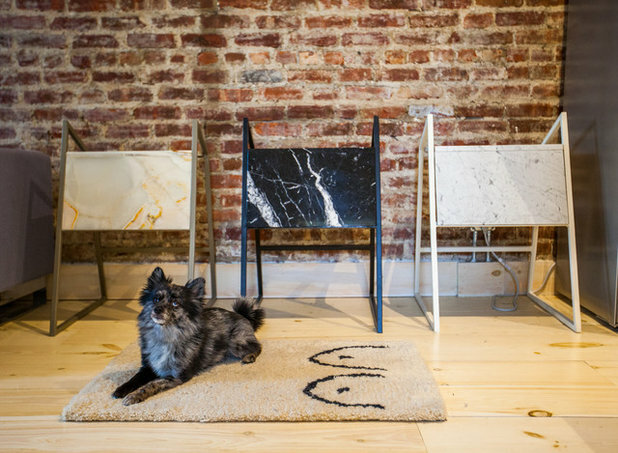 Blue merle Pomeranian Powwow sits in front of three conceptual stools designed by Hillary Taymour. 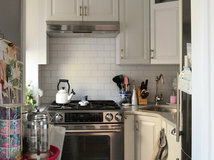 Powwow lives with his fashion designer owner in a modern and minimalist Brooklyn apartment. 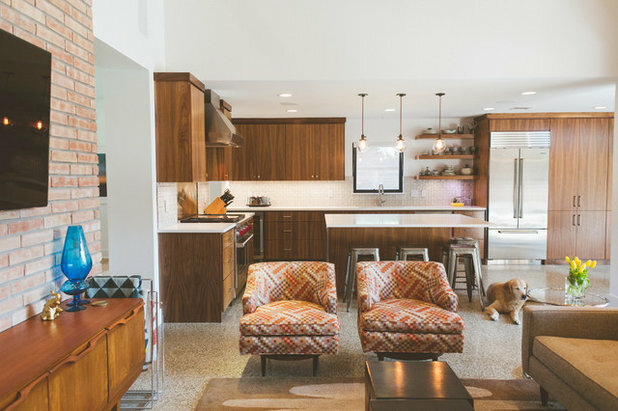 While Stanley the dog’s family gave their 1955 Texas ranch a major overhaul by building a two-story addition, here he is seen enjoying one of home’s only preserved original features — its terrazzo floors. 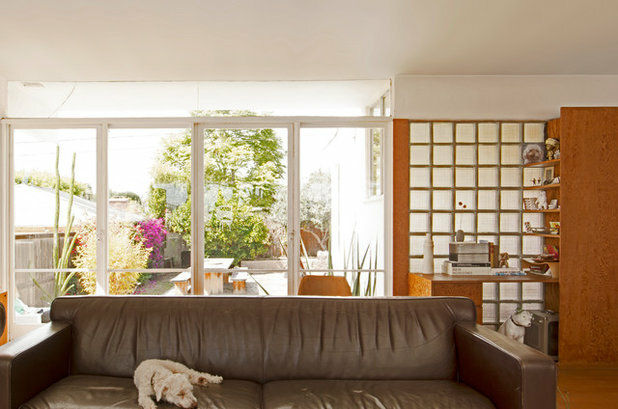 Lucky Scout, an affectionate poodle, naps in a 1937 home in Inglewood, California, designed by architect Rudolph M. Schindler. The living area connects to the outside with a large glass wall topped by a clerestory window. 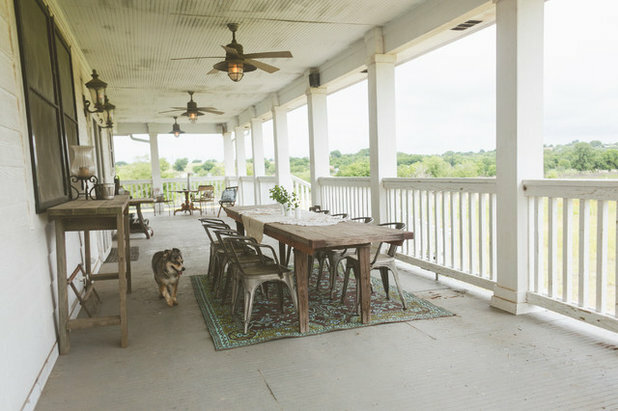 Breezy the dog takes a leisurely stroll on this wraparound porch on an Austin, Texas, farmhouse. 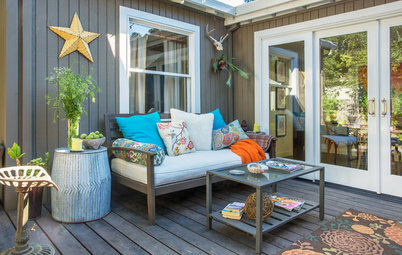 This porch can hold many guests and is a favorite hangout spot during good weather for the family. The porch also boasts a rare view of downtown Austin in the distance and an idyllic, sprawling 6-acre property. 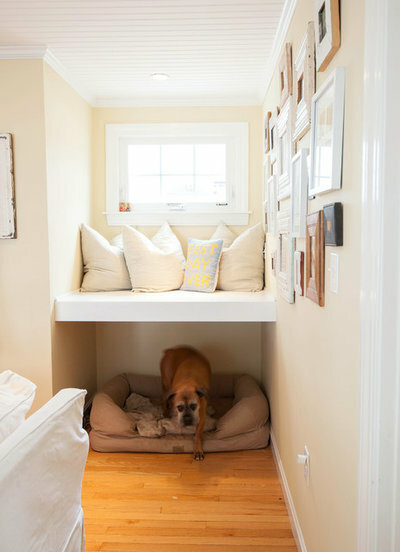 Boxer George hangs out under a custom-built window seat nook in a renovated 1921 New England home. The family who lives in this cozy house has two active sons who often can be found snuggled in this spot, reading or playing on the iPad. 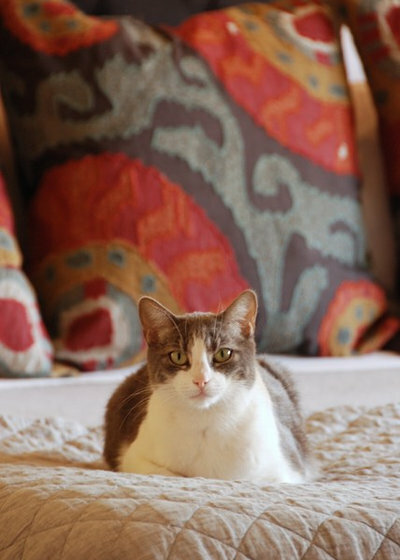 Dingus the cat lounges on a cozy Pendleton wool blanket in the master bedroom of a 1920s Craftsman in Seattle. 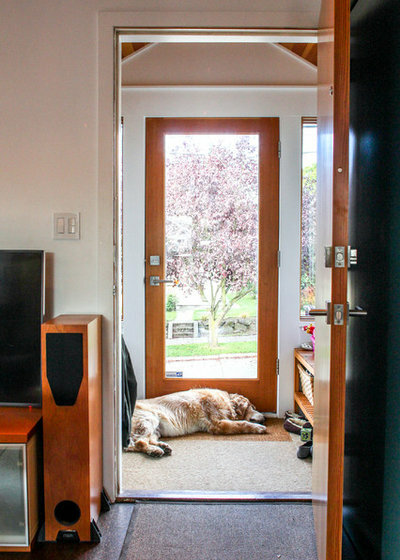 Bailey the dog is often seen napping in this sunlit entry porch, which acts as a mudroom and coat-hanging spot for a Seattle family. 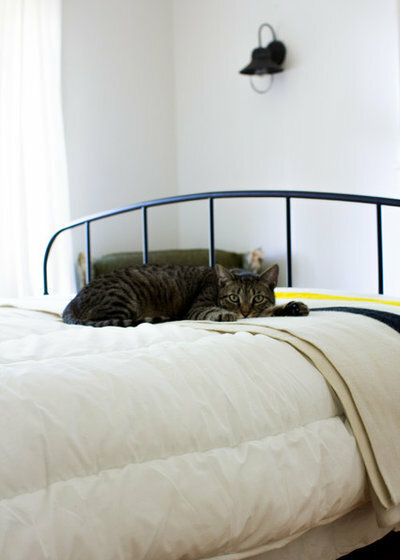 Maisy the cat’s favorite hangout spot is this soft, quilted coverlet in a Long Beach, California, bedroom. 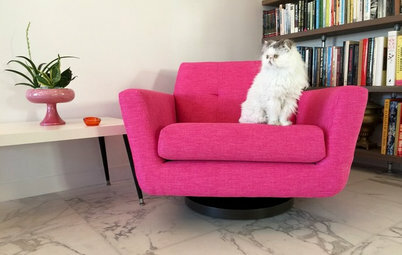 See more design-loving pets from our My Houzz series. 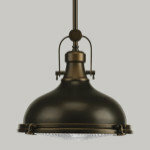 Gela Double Vanity Without Mirror, Gray, 60"
Does your cat or dog know how to strike a pose in a room? Does it join you on the job? 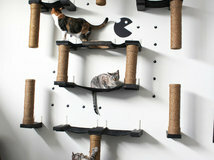 Show us your design-loving pets!